Description : Be a part of a process that is changing global communication. Blogging is a way for individuals to publish material on the internet for everybody to read. You can do it right here, right now. 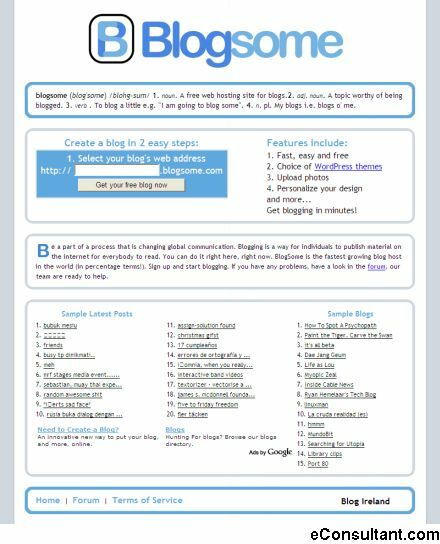 BlogSome is the fastest growing blog host in the world.